Richard Linklater and Shane Carruth provided the fest’s headiest pleasures. PARK CITY, UTAH—It was curation, not navigation, that posed the biggest challenge to this first-time Sundancer. At America’s ground zero for independent cinema, getting from one far-flung venue to the next—by foot, taxi or shuttle—was a breeze compared to the daunting task of fitting every “essential” film into a packed six-day schedule. Given the festival’s reputation as a showcase for emerging talent, it seems almost wrong that the closest thing to a consensus favorite was a high-profile sequel from an established figurehead. But how could one not fall madly for Before Midnight, Richard Linklater’s trilogy-capping return to the heady pleasures of a feature-length conversation? It’s been 18 years, onscreen and off, since Jesse (Ethan Hawke) and Céline (Julie Delpy) met on that train in Before Sunrise. This thorny third installment, penned again by the director and his aging stars, finds the loquacious lovers wrestling with the difficulties of parenthood, middle age and a long-term relationship. Profound in its examination of nostalgia as a binding force, Before Midnight makes a convincing case not just for its own existence but for sequels in general. While Linklater scored by returning to a winning formula, many of his younger counterparts branched out in bold new directions. One of the most significant steps forward came from Putty Hill director Matthew Porterfield, making his Sundance debut with the affecting divorce drama I Used to Be Darker. The film applies Porterfield’s trademark long takes and cathartic musical performances to a more structured (but no less authentic) portrait of his Baltimore stomping grounds. Lynn Shelton’s sitcom-ish Touchy Feely, about a suddenly contact-phobic masseuse (Rosemarie DeWitt) and her dentist brother (a dryly hilarious Josh Pais), offered a less graceful transition to scripted filmmaking. Shelton’s mumblecore contemporary Andrew Bujalski moved further from the mainstream with Computer Chess, a kind of micro-indie Christopher Guest comedy about programmers trying to checkmate each other using early-’80s ancestors of Deep Blue. Shot in the ultra-primitive video of its featured era, the film is more tedious than funny, though it’s hard not to admire its singular, low-budget strangeness. Stoker, meanwhile, proved that America can’t tame Oldboy director Park Chan-wook, who uses almost every frame of his Hitchcock-indebted English-language debut to spectacularly show off. Programmed in the “Premieres” category, the grisly film would have been better suited to the midnight slate, alongside other genre titles like Jim Micke’s artfully nasty We Are What We Are (a remake of a 2010 Mexican film) and S-VHS, a superior sequel to last year’s horror omnibus flick. Michael Cera and Gaby Hoffmann are pricelessly clueless as pretentious gringos bickering through a Chilean road trip in Sebastián Silva’s uproarious Crystal Fairy. 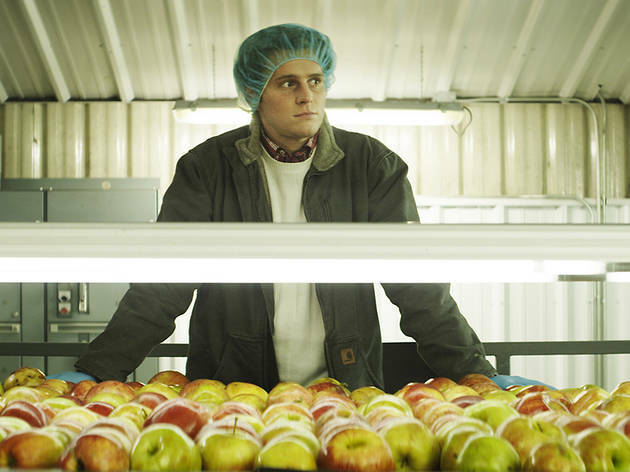 But a more thoughtful vision of privileged youth gone slumming could be found in C.O.G., which casts Glee’s Jonathan Groff as a gay Ivy League grad learning tough life lessons while working as an apple picker in Oregon. Based on an essay from David Sedaris’s Naked, this wounding memoir captures the spirit of the author’s writing without incorporating his commentary. It builds to a devastating ending, boosted by Denis O’Hare’s layered turn as the devout war veteran who takes young David under his wing. If C.O.G. was a largely unsung triumph, David Lowery’s Texas outlaw saga Ain’t Them Bodies Saints has to be counted among Sundance’s most overhyped properties. Following an escaped convict (Casey Affleck) attempting to reunite with his baby mama (Rooney Mara), Saints plays like a bloodless Terrence Malick knockoff—all poetic poses and grass-in-the-wind cutaways. The movie has mood to spare but not a hint of urgency, though it comes to life a little whenever shifting its focus to a heartsick lawman (Ben Foster, also strong as William Burroughs in the shallow Beat Generation origin story Kill Your Darlings). 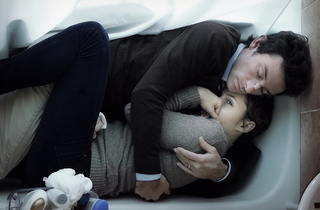 Lowery puts his Malick fetish to much better use as the editor of Upstream Color, a bizarre fable of memory, romance and mind-altering parasites, told in the lyrical, time-and-space-traversing style of The Tree of Life. The sophomore feature from Shane Carruth, whose Primer won Sundance’s Grand Jury prize nine years ago, this new sci-fi head-scratcher skimps on the relentless logic of its predecessor in favor of glorious sensory overload. 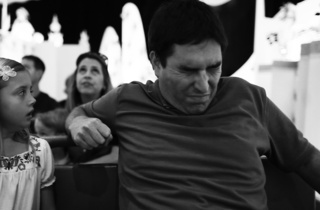 No other Sundance title felt as strikingly inventive—though for sheer guerrilla insanity, look to the apocalyptic lust-and-madness farce Escape from Tomorrow. 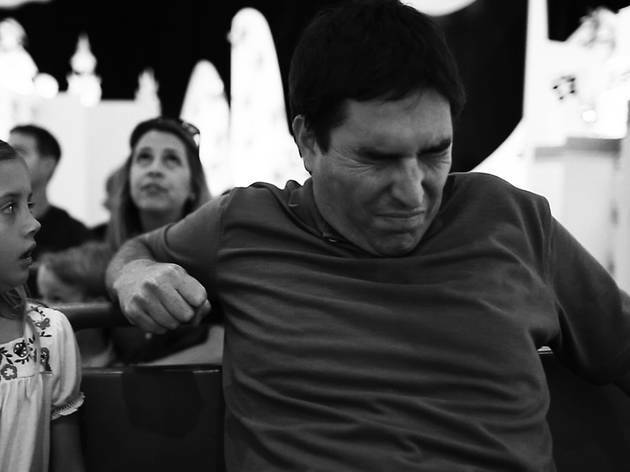 Filmed clandestinely in Disney World, Randy Moore’s attention-grabbing debut finds a schlubby family man (Roy Abramsohn) losing his mind during a surreal, daylong odyssey through the park. Sometimes amateurish, often juvenile, the film nonetheless became an unmissable event, especially in light of speculation that Mouse House lawyers might keep it out of general release. 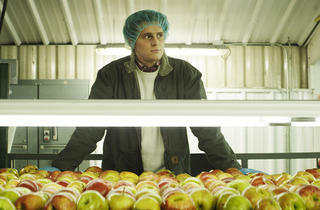 What could be more essential than an indie so daring it’s teetering on the edge of oblivion? Read our blog posts from the festival.